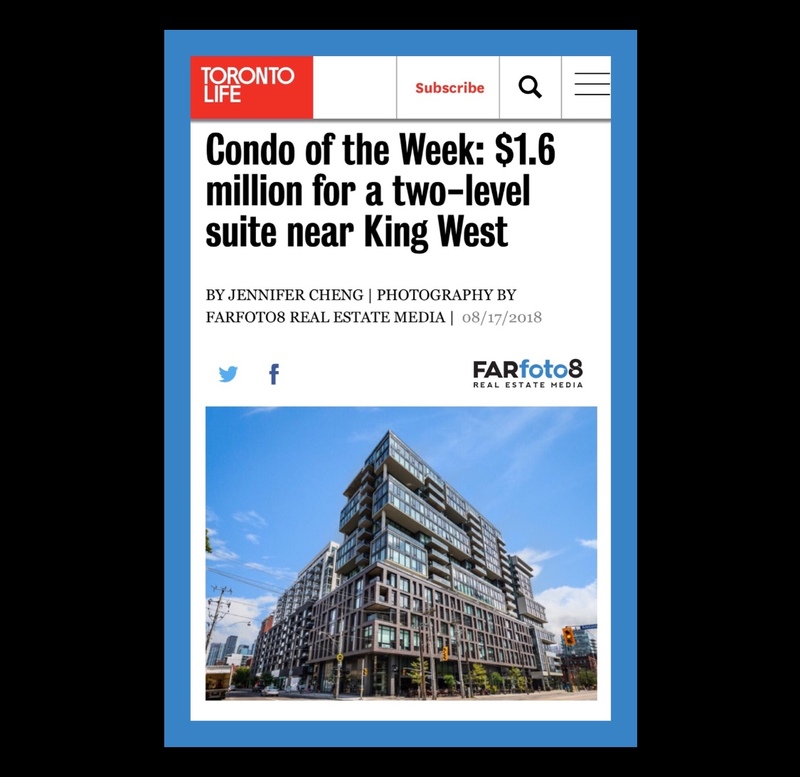 FARfoto8’s media portfolio for #1112-111 Bathurst St is featured in Toronto Life’s “Condo Of The Week”!! Click HERE for to view the article in Toronto Life. Thank you Diana Baddour of Royal LePage Signature Realty for the opportunity to photograph this absolutely stunning condo. Choose FARfoto8 Real Estate Media and have your listing stand out above the rest!